BERLIN — German Chancellor Angela Merkel’s conservatives and the Social Democrats (SPD) battled on Saturday to find solutions to disputes on healthcare and labor rules as they discuss forming a government more than four months after an election. The two parties aim to seal a deal on renewing the “grand coalition” that has governed Europe’s largest economy since 2013 by the end of Sunday. But some politicians say talks on forging the unnatural partnership could run into Monday or Tuesday. Arriving for negotiations, SPD deputy Manuela Schwesig urged the conservatives to compromise on two areas crucial to her party - abolishing fixed-term contracts for workers and reforming Germany’s dual public-private healthcare system. “I don’t think Mrs. Merkel can explain why there can’t be any movement there,” she said. The SPD wants to prove to its members that it would be able to push through those core policies in the role of junior partner to Merkel’s conservatives to make another “grand coalition” more appealing to skeptical grassroots members. Many of the SPD’s 443,000 members — who will get the chance to vote on any coalition deal — would prefer their party to revamp itself in opposition rather than signing up to another alliance with Merkel after the SPD suffered its worst postwar election result in September. The two camps made some progress on labor policy on Friday by agreeing that employees in companies with more than 45 employees should have the right to move seamlessly back and forth between full- and part-time work. 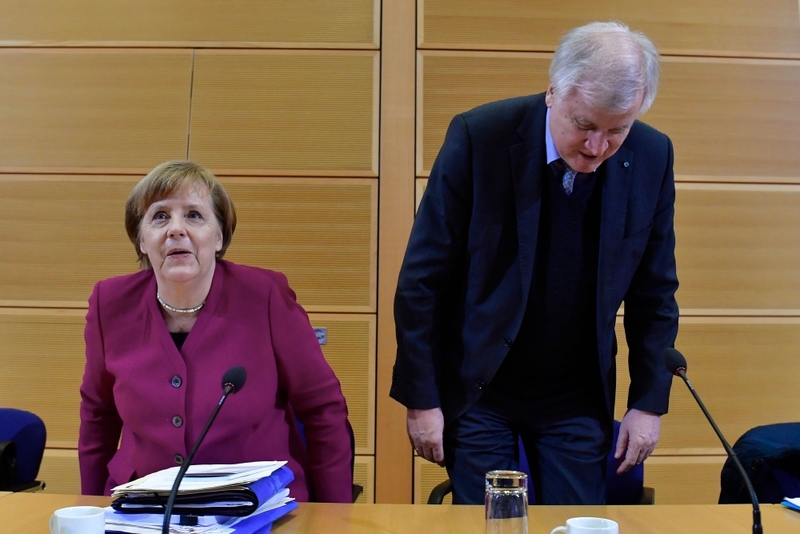 Healthcare is a big stumbling block and party sources said Merkel and her Bavarian ally Horst Seehofer discussed the issue together on Saturday morning before meeting with the SPD. The conservatives reject replacing the current system with a “citizen’s insurance” as called for by the SPD and talks are now expected to focus on improving the position of those with public healthcare such as by changing billing rules for doctors, who earn more by treating private patients and so often favor them. In a full day of negotiations on Saturday, the parties were also hoping to tick off issues including finances, rents and real estate prices, agriculture and municipalities. They reached a deal on migration on Friday, agreeing to stick to wording of January’s coalition blueprint that said the parties did not expect annual migration to exceed 220,000 per year. But the two parties were still arguing over its meaning on Saturday, with Joachim Herrmann — a member of Merkel’s CSU Bavarian allies who have called for an upper limit to migration — telling Rheinische Post newspaper he believed his party had secured a migrant cap in the negotiations.